Life can be compared to running a race. As the runner goes, he strains forward with all he has to reach the prize awaiting him. He often must navigate through or around various obstacle placed in his path. In the same way, we encounter many unexpected obstacles in life. These obstacles could be medical in nature, they could include struggles within our families, our jobs, or our finances. How do we keep running the race set before us in light of the obstacles we are going to encounter? What is the eternal prize waiting for those who seek it? Let’s look to the Bible today and see God’s encouragement for us. He has promised to be with His people. 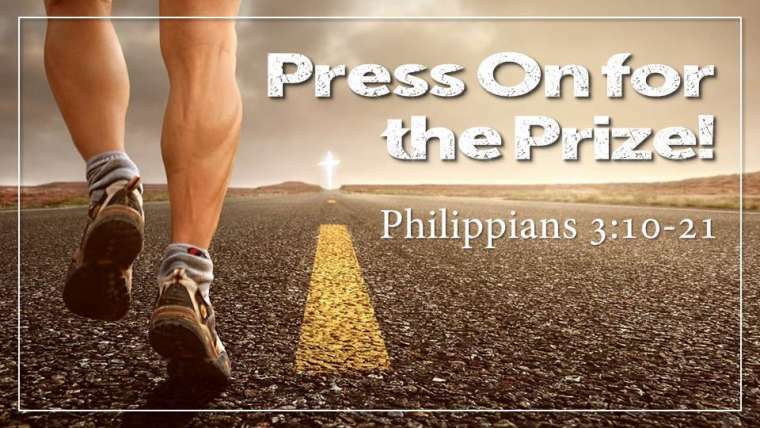 Because God is with us as we face life’s obstacles, we can Press On for the Prize!